by clicking on the URL on the confirmation email. 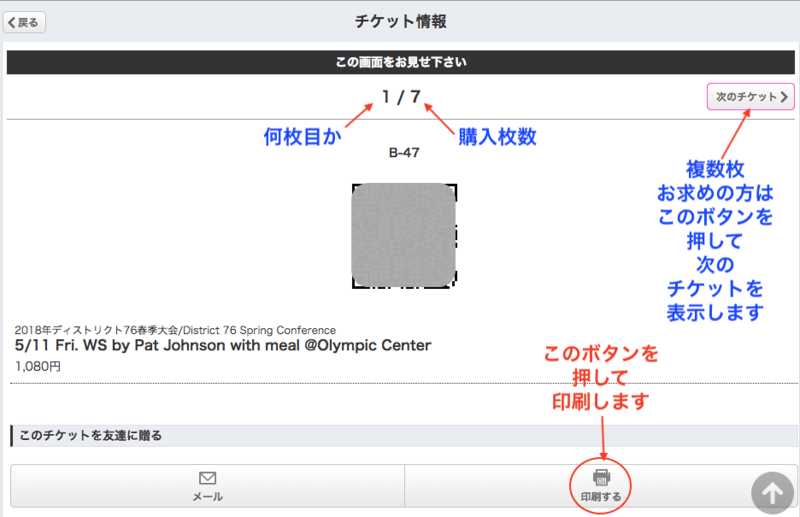 Click on the “「チケットを表示する」 (show ticket)” button. 2. The ticket page with a QR Code opens. Click on the printer icon on the lower part of the page to print out. on the upper-right side of the page. so print out from your browser. 2. The ticket page with a QR Code opens, so take a screenshot. by clicking on the right arrow on the upper-right side of the page. and click the Home button at the same time. and the Volume-Down button at the same time. 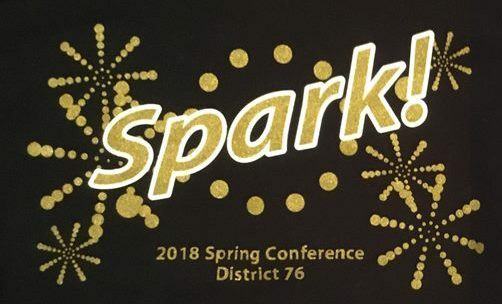 Show it at the reception of the conference. click on the 「Apple Walletに追加」 button. 2. 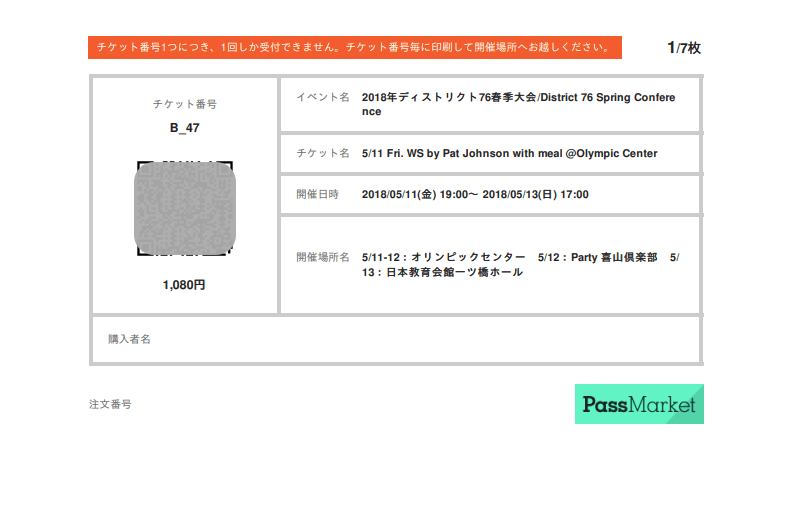 A new ticket page with a QR Code opens. to store it in Wallet. in the Wattlet app. Tap on the ticket. at the reception of the conference.